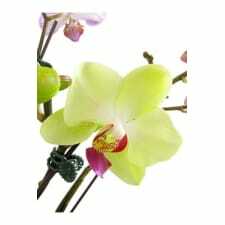 Send a long lasting living gift of potted medium Phalaenopsis orchids beautifully presented in a wooden planter box. The delivery confirmation email gave us peace of mind that the flowers had been delivered on the date that we had requested. That email advice from you is the main reason will will use Plants Across Melbourne for our next order. Our Cousin was thrilled with the plants that she received. Thanks for your assistance in helping to make her birthday a little bit more special!